In a turn of events that shouldn’t surprise any reasonable person with a distrust of industry-funded research, a study published Monday by the Journal of the American Medical Association (JAMA) Internal Medicine provides evidence of an actual conspiracy designed to downplay the negative health effects of eating sugar, and instead transfer blame for coronary heart disease to the influence of fat and cholesterol. According to researchers Cristin Kearns, Laura Schmidt, and Stanton Glantz, internal documents from the Sugar Research Foundation (who are now known as the Sugar Association) viewed in combination with newly discovered historical records, reveal a concerted effort to suppress information showing that consuming sugar is, well, incredibly bad for you. 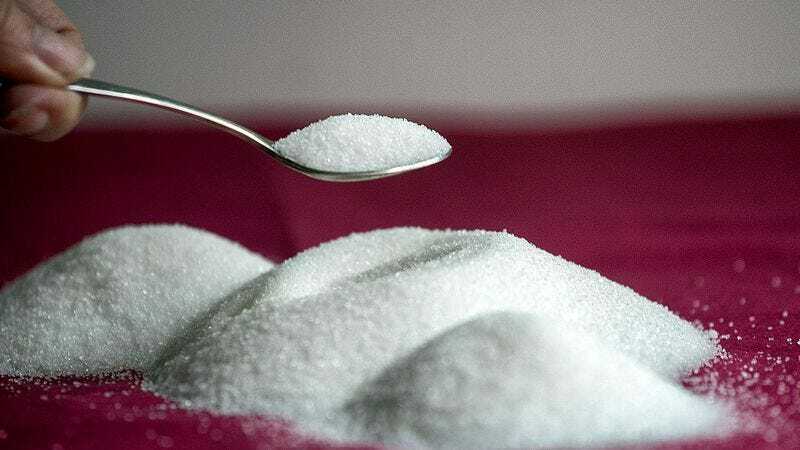 The cover up was achieved by paying researchers in the 1960s to produce work which specifically refuted growing evidence that sugar consumption was related to coronary heart disease, a position the industry still maintains to this day. The end result is now publicly known—the sugar industry, unprepared to accept its role in a growing national health crisis, produced faulty research which derailed decades of medical inquiry and debate, and, indirectly adding insult to injury, resulted in the creation of the horrifying “SnackWells” line of products. Presumably to the chagrin of the Sugar Association, the revelation of their coverup is gaining steam within the widespread media: The New York Times, the LA Times, NPR, and others are all covering the story, and additional questions about the influence of the industry could arise. As the public reacts to the cover-up the world’s sugar barons will also likely be facing a variety of angry inquiries from consumers and (hopefully) legislators who, for perhaps the first time, are realizing their parents were in fact right: sugar is bad for you. Mom: 1. Sugar Association: 0.